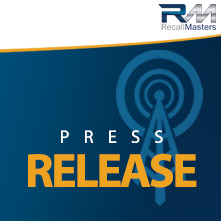 Aliso Viejo, CA, December 5, 2017— Recall Masters, Inc., the leading provider of automotive recall news, data, training, and communications, today announced that it recently helped a large dealership client quickly fend-off a lawsuit related to recall communications. The plaintiff alleged that she received text messages sent by Recall Masters on the dealership’s behalf that were not in compliance with the Telephone Consumer Protection Act (“TCPA”). Recall Masters provided information to the plaintiff’s attorney about the extensive preventative compliance audits and painstaking steps taken to conform with TCPA guidelines, which lead to the plaintiff promptly dismissing the case. According to Recall Masters’ President, Christopher Miller, while this lawsuit was quickly handled by showing the plaintiff that no laws were broken, the industry will remain under scrutiny and dealers should take compliance matters seriously. “In recent years, many manufacturers, dealers, and their solutions partners, have become the target of criticism and litigation related to text messaging/TCPA violations, deceptive advertising, and fraudulent claims,” explained Miller. “Attorneys representing plaintiffs claim that dealers are recklessly sending marketing calls and texts without proper consent under the Telephone Consumer Protection Act. On top of that, dealers continue to use aggressive, fear-inducing messaging attempting to coerce consumers into visiting their dealership. Upholding the highest ethical standard in our messaging and steadfast compliance with all laws has been and remains a number one priority for Recall Masters. And, in this case, those compliance efforts paid off for both Recall Masters and its client,” Miller added. Recall Masters helps dealerships send consumers recall notices through multiple channels including postal mail, text messaging, emails, social media and phone calls, and goes to great lengths to comply with the TCPA, reasonable interpretations of FCC orders related to it, and various federal and state laws. Because of its heavy investment in compliance, Recall Masters was able to help its client inform the plaintiff on its efforts, leading to a reasonable dismissal without prejudice. Recall Masters supported its client by providing documentation related to its compliance efforts. It also provided information about the TCPA’s exemption for calls and texts communicating information affecting the health and safety of consumers, which would reasonably include recall notifications. Recall Masters also demonstrated how it uses, out of an abundance of caution, a manual system to deliver its text messages with live agents personally interacting with every consumer scheduling recall repairs. The National Highway Traffic Safety Administration (“NHTSA”) states that in 2016 there were over 900 recalls affecting 53 million vehicles. Over 25 percent of the vehicles on the road in the United States are operating with an unrepaired safety recall. “Millions of people every day are riding in or driving next to a vehicle with a potentially serious defect at a significant cost to public and personal safety. Although manufacturers are required to notify consumers of defects, dealers are often in a better position to engage with consumers, but lack the knowledge and resources to send recall notices on their own,” said Miller. According to recent reports, more than half of Americans have ditched landlines and only use cell phone communications. Statistics also show that text messages have a 99 percent open rate and 95 percent of those text messages are read within 3 minutes of being sent, according to Forbes. The data clearly supports just how effective text messaging is as a communication channel. What’s more, in a September 2017 survey of consumer attitudes conducted by Recall Masters, 25.3 percent of respondents stated they would like to receive information about a recall on their vehicle “by any means necessary.” And 8.9 percent stated that “text alone” should be the sole channel of communication. However, the standard means of communication for many manufacturers are phone and mail. “Consumers are often unaware that they are driving unsafe cars and multi-channel outreach is critical to getting that safety information into their hands. Such informational messages may alert the consumer to the fact they have an open recall and either provide additional information about the recall, or instructions to contact the dealership’s recall department for information and to set up service,” said Miller. “In the search for increased recall completion rates, we can’t ignore how consumers want to receive these notices. Consumer habits and preferences have changed. How important are potentially life-threatening recalls to an individual’s safety? Considering that the national average for car ownership is almost one per person, and that Americans logged 3.22 trillion miles on the road in 2016, I’d say that recalls affect a pretty big chunk of the population,” Miller added. The recent lawsuit isn’t Recall Masters’ first time helping its clients overcome TCPA concerns. In recent years, Recall Masters has aided about half a dozen clients successfully in responding to compliance-related complaints. “We believe that effective communication can save lives and dealers need to be better educated about how to correctly do this,” Miller stated. “The bottom line is that the current recall epidemic, which is set to continue for the next decade or longer, will lead to more dangerous driving conditions if modern, more effective, solutions are not employed. Legislators are ‘up in arms’ about low recall completion rates, but have little understanding of what to do. And far too frequently consumers don’t even know the recall exists. A multi-communications strategy that also employs texting will absolutely increase recall repair rates, if used correctly,” Miller stated. Recall Masters is the leading provider of automotive recall news, data, training, and communications. The company is dedicated to helping automakers and their dealers expedite the repair of recalled vehicles and make the roadways safer for everyone. Greater recall awareness and proactive recall management helps automakers protect their brand and build trusting relationships between automotive dealers, rental car agencies, auto auctions and consumers alike. Recall Masters is a privately-held company based in Aliso Viejo, CA. For more information, please visit www.recallmasters.com.